This week was about our Atlanta birds. Friday, was declared Falcon Friday (by somebody…not sure who…likely a t-shirt sales person). Mr. Serious decided we all should have Falcon’s shirts to wear Friday. So we did. But, I only wrangled half of us for a picture. 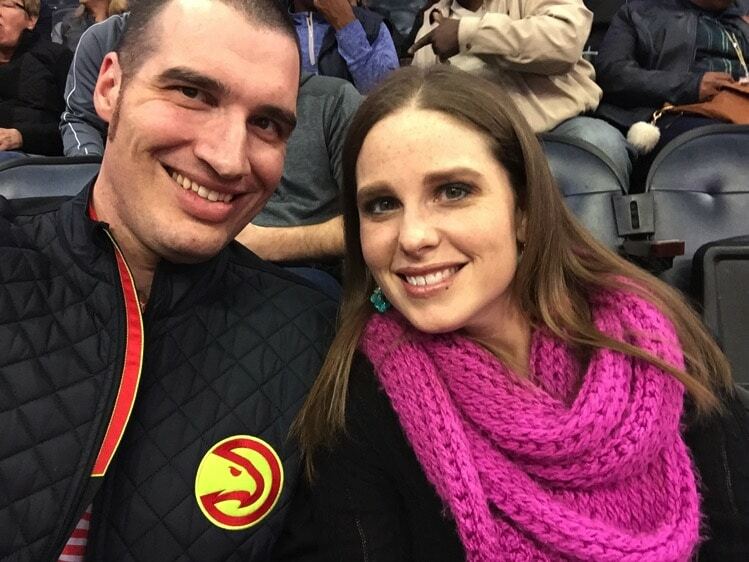 The night before the big game, Mr. Serious and another couple from the YMCA went on a double date night to a Hawks game. Thankfully, they won and the game was quite entertaining. Plus, it was nice to be out with another couple and be adults together. We’re bummed about the way the Falcon’s game went, but had fun cheering them on in the big game. Also, I’m kind of in disbelief that it’s already February, which means that E has a birthday coming up! I guess I should start thinking about that! All this to say, JUST GET IN THE PICTURE WITH YOUR KIDS! Who cares what you look like? Who cares how you appear? Who cares what you are wearing? JUST DO IT! 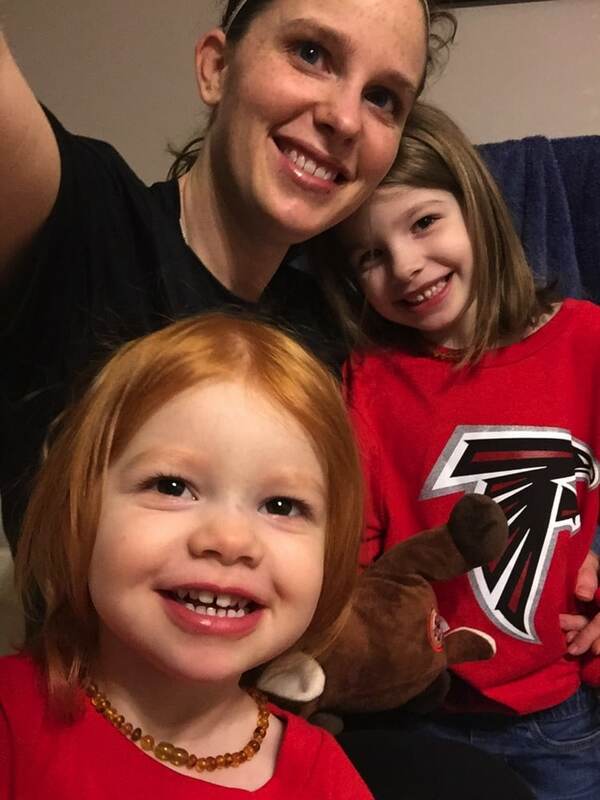 I love your matching Falcons tees! You all look so cute. I love this idea and link up 🙂 Glad I happened upon it! I’ll definitely have more pictures next week.